I was contacted by the KC Symphony last week to work on a handful of illustrations for them, and these are some little snapshots of where they’re at. 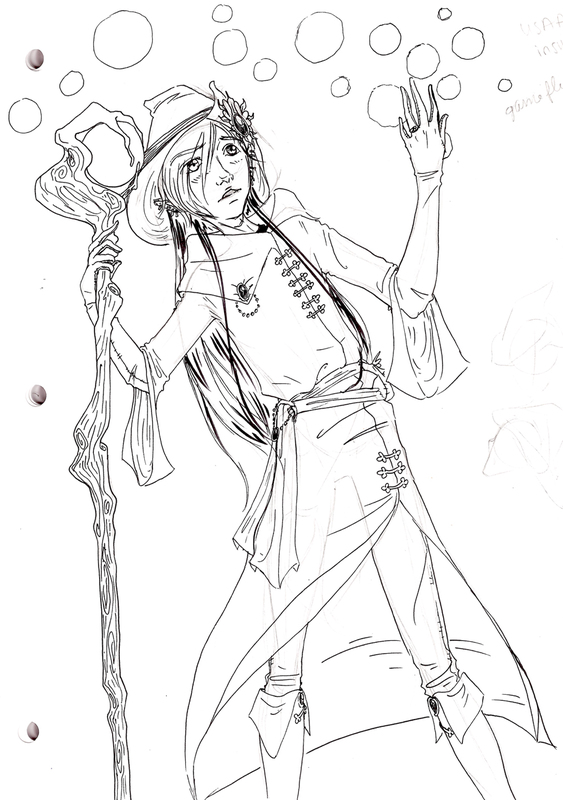 There are 6 total, and I’m still working on the inking process. 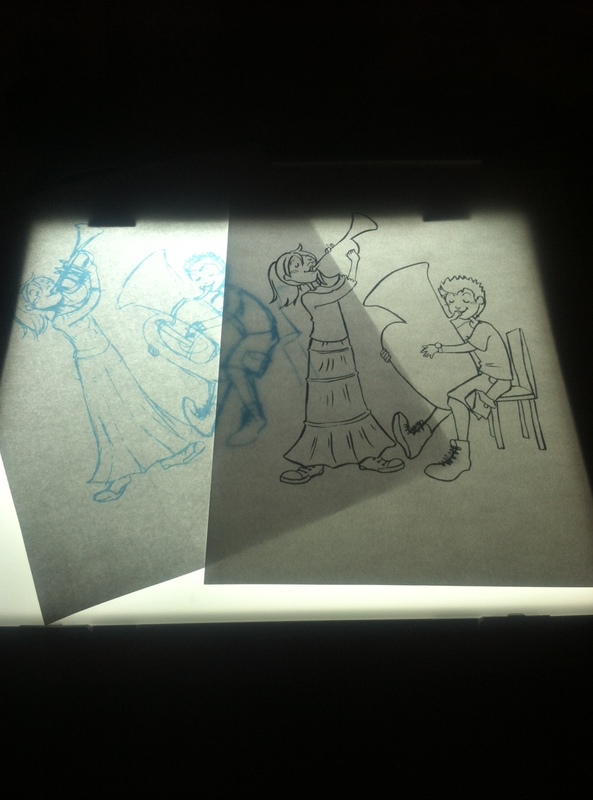 What you’re seeing in the second image is how I like to work with my light table to help with time restraints. I did the sketches and got them to a point where I was happy with their tightness and over all appearance. 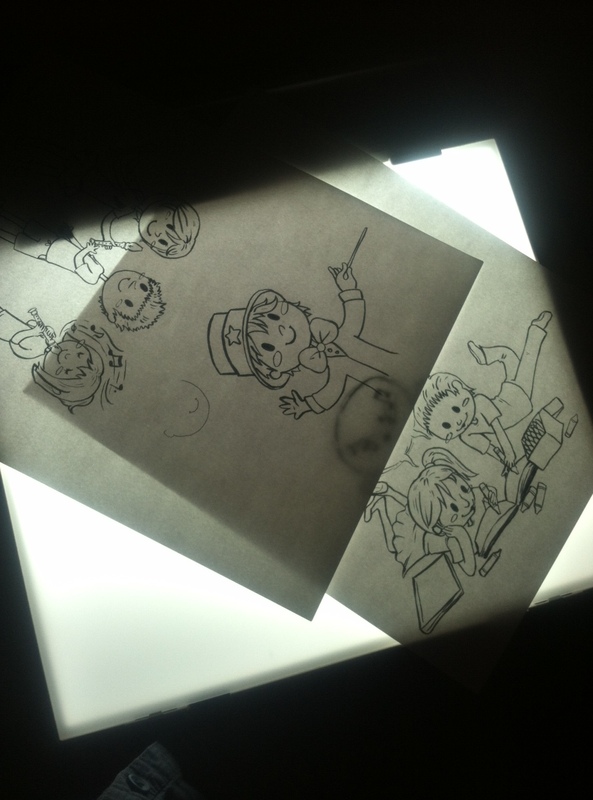 Then, I change the color of the pencil after scanning them in and print them out in some randomly selected light blue hue, which looks really nice when it shines through on a light board. Then, I go back over the illustrations, very slowly, taking the time to get the detail I want, before I will take them all to be scanned and colored in Photoshop– usually with water color washes that have also been scanned. I was right to be super excited about this assignment I set up for myself! It’s been a rocky road thus far, after taking several pages of thumbnailing before finally setting on two designs for my Star Trek: Into Darkness Poster Set. Once I’ve finished Jim Kirk, it’ll be time to play around with some charcoal and texture before assembling and coloring the 24″ x 36″ poster. I haven’t started on the “Enlist” poster yet, but I have the idea down so it’s time to start once this one is to a comfortable spot. Both need to be finished by Friday, so I’m working as hard as I can! It doesn’t look like I’ll have the popcorn bucket and cup done and ready for display by the show date, but I’ll work on them for the end of year– for myself if no one else. I’ve also got tickets to see the premier of the show two days before the actual release date, so I’m just about as excited as possible! Enjoy the little picture of me tiredly enjoying myself! Guess it’s time to get back to work now! Graduation is creeping up so fast.